Warhol loves Lucy! This I Love Lucy Warhol Art 18 oz. 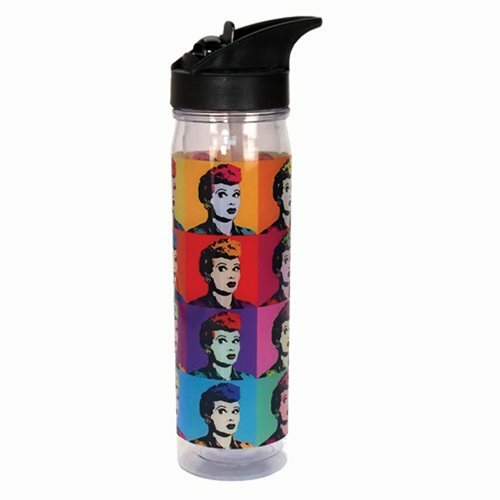 Flip Top Acrylic Water Bottle features a Andy Warhol style photo grid of Lucy. Water Bottle holds up to 18 ounces of liquid. Hand wash only. Not dishwasher safe. Do not microwave. Ages 14 and up.